Looking for deals in Jakarta? Located within 3.5 miles of Selamat Datang Monument and 3.7 miles of Grand Indonesia Mall, OYO 161 DC Hotel Utan Kayu has rooms with air conditioning and a private bathroom in Jakarta. Best budget hotel ever had in east jakarta !!! OYO 124 Green House features air-conditioned rooms with cable flat-screen TV in the South Jakarta district of Jakarta. Great budget hotel for its price. Comfortable bed, free wi-fi and amenities from the hotel. Boasting a 360-degree view of the city, The Westin Jakartal is located on the top 20 floors of a 304-yard building. Is good hotel - I stay here twice time - my family very happy - Good breakfast and staff helpful!! The Ritz-Carlton Hotel Jakarta Pacific Place is located in the Golden Triangle at Jalan Sudirman. The hotel offers free WiFi, flat-screen TVs, an outdoor pool and a restaurant. Convenient location Staff are really polite and accommodating. Holiday Inn Express Jakarta Matraman is located in Jakarta, 4 miles from Selamat Datang Monument and 4.1 miles from Grand Indonesia Mall. With free WiFi, this 3-star hotel offers a 24-hour front desk.... Staff very helpful and nice. We can asked to take away our breakfast. Clean and new building. Located in Jakarta and within 10 miles of Central Park Mall, d'primahotel Airport Jakarta 2 has a bar, non-smoking rooms, and free WiFi. Excellent service, the staff is very friendly and nice ! Helpful and welcoming!! ZEN Rooms Slipi is located in Jakarta, within 2.6 miles of National Museum of Indonesia and 2.7 miles of Tanah Abang Grocery & Textile Center. Located in the heart of Jakarta's business and tourism districts, Juno Hotel Jakarta offers modern accommodations with free WiFi. Guests can enjoy daily buffet breakfast. The room is so comfortable and the location is very near the tourist spots in Jakarta. Located in Jakarta, a 7-minute walk from Sarinah, Erian Hotel has a terrace and rooms with free WiFi access. Incredibly friendly and helpful staff (especially Akbar, at the front desk). Colonnade Residences is located in South Jakarta, 12 mi from Soekarno-Hatta Jakarta International Airport. It offers an outdoor pool with an attached spa pool, free parking and free Wi-Fi access. The staff was friendly and helpful. The room was spacious and beautiful with hard wooden flooring. Located right in the heart of Jakarta and just minutes' walk away from the city's famous landmark, Selamat Datang Monument, and adjacent to the iconic Plaza Indonesia Shopping Mall, Grand Hyatt... All Staffs are very good hospitality!!!! OYO 135 Menteng Guest House has rooms with free WiFi in Jakarta, ideally set a 15-minute walk from Selamat Datang Monument and 0.9 miles from Sarinah. Everything is clean and organized, staff without exception is friendly and kind. Offering a swimming pool and a restaurant, Aloft Jakarta Wahid Hasyim is located in Sabang, a 5-minute walk from Sarinah Plaza. Really love the staff's attitude, pillow, blanket, bed is really comfortable! Located in Jakarta, a 15-minute walk from Selamat Datang Monument, OYO 245 Juana 21 provides rooms with air conditioning. This 2-star hotel offers a 24-hour front desk and free WiFi. Very clean. Hot water and AC, which is unusual for hotels in this price range. Which hotels in Jakarta are good for families? Many families visiting Jakarta loved staying at OYO 222 M@Jayakarta, Raffles Jakarta, and OYO 122 Oekude Residence. Which hotels in Jakarta offer an especially good breakfast? For hotels in Jakarta that serve highly-rated breakfasts, try Kosenda Hotel, Raffles Jakarta, and Four Seasons Hotel Jakarta. What are the best hotels in Jakarta near Soekarno Hatta Airport? Travelers who stayed in Jakarta near Soekarno Hatta Airport (CGK) have said good things about d'primahotel Terminal 1A, Jakarta Airport Hotel managed by Topotels, and Cengkareng Transit Hotel. What are the best hotels in Jakarta near Blok M Square? Some of the best hotels in Jakarta near Blok M Square include Hotel Gran Mahakam, Hotel GranDhika Iskandarsyah and M Hotel. Which hotels in Jakarta are good for couples? These hotels in Jakarta are highly rated by couples: OYO 176 Virgo Residence, OYO 222 M@Jayakarta, and Raffles Jakarta. How much is a hotel in Jakarta for this weekend? The average price per night for a 3-star hotel in Jakarta this weekend is $75 or, for a 4-star hotel, $121. Looking for something even fancier? 5-star hotels in Jakarta for this weekend cost around $258 per night, on average (based on Booking.com prices). Which hotels are the best ones to stay at in Jakarta? YELLO Hotel Harmoni, Raffles Jakarta, and The Ritz-Carlton Hotel Jakarta Pacific Place are some of the popular hotels in Jakarta. How much does it cost to stay in a hotel in Jakarta? On average, 3-star hotels in Jakarta cost $37 per night, and 4-star hotels in Jakarta are $70 per night. If you're looking for something really special, a 5-star hotel in Jakarta can be found for $147 per night, on average (based on Booking.com prices). Which hotels in Jakarta have nice views? OYO 222 M@Jayakarta, OYO 161 DC Hotel Utan Kayu, and The Westin Jakarta got great room view-related reviews from travelers in Jakarta. Which neighborhood is the best one to stay at in Jakarta? Central Jakarta, South Jakarta, and West Jakarta are popular with other travelers visiting Jakarta. How much is a hotel in Jakarta for tonight? On average, it costs $39 per night to book a 3-star hotel in Jakarta for tonight. You'll pay around $65 if you choose to stay in a 4-star hotel tonight, while a 5-star hotel in Jakarta will cost around $162, on average (based on Booking.com prices). Indonesia’s capital, sprawling Jakarta has hurtled into the 21st-century at a startling rate. Rapidly expanding, it is an eclectic mix of cultures with an electric clubbing scene including the EX at Plaza Indonesia mall and those near Blok M mall, popular with expats. Jakarta shopping is great, with modern malls all over, interspersed with traditional markets, some underground. Thousands of Jakarta restaurants and cheap street food provide tourists with tons of choices. Little Japan is best for sushi (and karaoke), while colorful Chinatown has fantastic dim sum. Buzzing around all are bajaj, Indonesia’s equivalent of tuk-tuks. The main Jakarta sights include Monas National Monument in green Merdeka square. Spectacularly lit at night, it has a deck with fantastic city views. Opposite is the presidential palace, patrolled by the national guard. The oldest part is Batavia – the city’s Dutch Colonial name – and is home to the Jakarta History Museum. Away from the bustle is Taman Mini Indonesia Indah, a suburban park celebrating Indonesia’s rich culture through museums, dance and film, centered around a large lake with Indonesia-shaped islands. 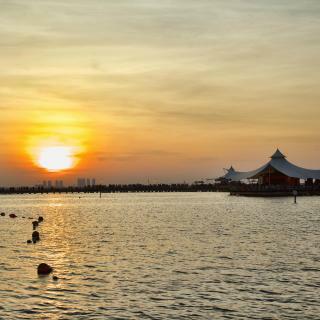 Ancol Dream Park also features waterparks, beaches and amusement rides. 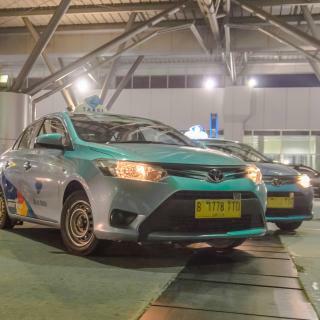 Traffic can be manic, so leave time after checking out of your Booking.com accommodation in Jakarta to get to Soekarno Hatta or Halim Perdanakusuma Airport. The city lacks atractions, small national galery, sunglasses forbiden, poor support for the Batavia boats, ... If you like to visit mosks and are not shocked by so many womens in tchadors with ugly clothes and shoes, you may like Jakarta. I am not shure and still quite puzzled about that. Nice mall.... with worldwide fashion. I didnt like the food. All this is personal, dont extract conclusions. Pasat Bura market looked dark and unatractive. I only recommend going there if you like museums and shopping malls or have friends there. It’s a normal big city. If you like history there are many museums to visit and the national monument located in Central Jakarta. There are lots of street vendors that cook good food for an affordable price. There’s also lots of convenience stores to find cheap goods. I recommend getting the grab car app for travel around Jakarta or using a metered taxi because I found some of the drivers that confront you for rides are on the street dishonest. The place is so crowded and traffic absolutely a nightmare ! The place is so crowded and traffic absolutely a nightmare !!!! Tried to cross the street I almost got hit by cars and motorcycle ☹️ They have no respect for pedestrians at all !!!!! I felt like someone purposely come towards you and want to hits you . And Stop lights it didn’t stop them they ran over stop lights just like they never seen the lights at all cars and motorcycle passing me !!!!!!! What a nightmare giving me a chilled just thinking if they run me over and get kill there no one would care !!!!!! Stay out off Jakarta !!!! With the newly-opened MRT, it is now quite easy to go every interesting shopping places in Jakarta. From Airport (CGK), just take train to the city (Sudirman BNI Station) which takes about 45mins. From Sudirman BNI Station, take 2mins walk to MRT Dukuh Atas Station to go to Bundaran HI Station. 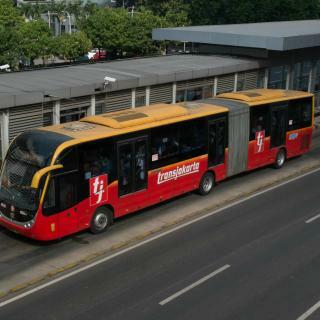 From Bundaran HI Station, just take Transjakarta Bus Route No.1 to go Blok M or MONAS or Sarinah or Kota Lama Batavia. I’m a person who loves the cold. I’m a person who loves the cold. Jakarta is a place that’s always hot. Not to mention air quality and water is polluted. I’m not trying be harsh but telling you what to expect. Jakarta offers a wide range of street food and entertainment. (Bring medication for diarrhea just in case because it’s highly likely you’ll get it) I specifically enjoyed the diverse atmosphere and traditional aspects that was offered during my trip. Don’t expect high quality things like in other countries because Jakarta offers traditional and religious aspects of its culture. There’s so much to see and learning basic Bahasa really helps in engaging with Indonesian people...I didn’t know any Bahasa but next time I will. Later. The bed slept perfect, nice hot shower and less than 10 minutes away from Gambir train station. The hotel has their own car to bring you there for free. Excellent service for that price! The staff in the hotel and restaurant are the most kind and helpful people that you could wish for. Another big plus is that the food is terrific! We had dinner there after our flight and the breakfast buffet was really nice. 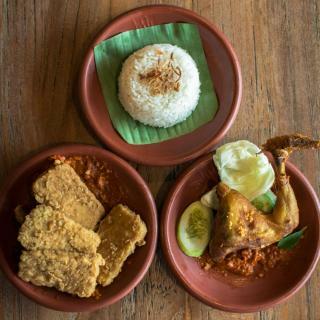 Great Indonesian food. We even asked the chef to prepare us Nasi goreng to take away and had a nice lunch on the train. The staff was extremely friendly and helpfull! I asked where I could buy a bottle of water and the receptionist went and bought it for us and we got two small free bottles from the hotel as well! Not everyone spoke English very well, but there was always someone around that could translate. The bed was really comfortable. 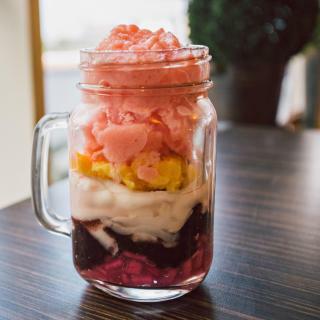 There's sweet tea and yummy fresh juice in the morning, along with Indonesian food (rice, chicken, vegetables,...). All in all, for a 2-star hotel it was good. Clean,spacious. The front office and concierge staffs are excellent. The hotel provides transportation to Grand Indonesia Mall & Plaza Indonesia mall - free of charge. Drop off & pick up from Mall on their scheduled time. We enjoyed our time in fitness & spa... gym facilities is good, sauna, warm jacuzzi are all excellent. The weekends breakfast is good, like the bakso sapi and veggie omelette ; weekdays breakfast is moderate choice only. VALUE! Bed was comfortable, room was not the biggest, but definitely not the smallest, room was clean, hot water for shower worked great, air conditioning functioning well, plenty of sunlight in the room, but the blinds can be closed completely if you like. Staff speak English and are very friendly. Breakfast was just good considering it's a budget hotel - had coffee, tea, rice meal, chicken, vegetable dish, fruits, toast, coco crunch, milk. The Hotel and the rooms (executive room) are very spacious. The Lounge associated to the executive rooms is good value for money if you use it. Super friendly staff and fantastic Indonesian food. The gym is good too and all in you need for a good work out (not the newest machines but working). Nice outdoor area with little garden and big swimming pool. 1. Cleanliness -	New room with a very clean linen and blanket. Had a comfy stay here. Very recommended! 2. Services -	A very welcome and friendly services. The staffs are so helpful and professional. The house keeping did their job very quick to make up my room. A must stay hotel especially for budget traveller. Location is great with plenty of food on the ground floor and a supermarket on the 2nd floor. There's also late night martabak stand! Hotel breakfast was a delicious Indonesian buffet spread with fried rice, fried noodles, soup, porridge, toast and eggs. The staff were very helpful and friendly. Very convinient location, 10 minutes walking to Indonesia plaza,2.5kilometers to liberate plaza. Also not far from National museum. Hero supermarkets 20 minutes walking. metro is under construction, just outside of the hotel. Will be finished next year. City train is outside of the hotel. The staff was nice and helpful. One of the staff member showed us and detailed explained the specifics of the indonesian buffet menu..that was really kind of him. The bed was comfortable and it was nice calm and quiet in the hotel. The room was clean. Wi-fi was good. Location was good for my need. Some street food vendors were nearby and a supermarket, if you need to buy anything. Staff were helpful & responsive. Good budget hotel, worth the money. Very clean. Hot water and AC, which is unusual for hotels in this price range. Free drinking water refills. Quiet neighborhood despite proximity to Sudirman station and the Grand Indonesia mall. Room is spacious and clean. We like the pool & cue room. The hotel provide shuttle bus to Grand Indonesia Mall but do not include return to Hotel. Cooking utensils is clean. Location is the best and its a new hotel. Great location at the fx Sudirman, tons of local shops in the mall that are catered to local Muslim & culture. The hotel itself is right at the lobby and convenient to access.